Posted on November 21, 2017 by Infuse_cb2017 wrote in Facilities Management. It has 0 Comment. Facility managers today play an important role in any organization, contributing to overall goals such as reducing costs, improving office productivity and pursuing sustainability initiatives. As a result, it’s critical to highlight your contributions to the industry by having an active presence on social media. Learning how to engage with your peers online may take time, but framing yourself as a thought leader on a local and national level will increase the visibility of your organization and give your career a significant boost. Why Do Facility Managers Need a Social Media Strategy? Creating a Twitter account and writing a few thoughtful tweets isn’t enough to get noticed in today’s crowded digital space. A solid online presence can help you develop your leadership skills, but only if you approach each platform with a strategy in mind. Serve as a prominent source of information for employees at your organization? Promote your department’s services to other companies? Find your next position or a new career opportunity? With these goals in mind, it’s time to consider which platform you should use. Which Social Media Channels is Right for FMs? Not all social media platforms are created equal. 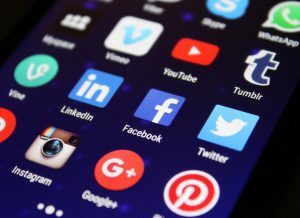 You’re likely to see greater success if you carefully choose which social media platforms to focus on based on your personal goals and the needs of your company. Online blogs are an excellent space to showcase your unique expertise and share knowledge with other FMs. Possible topics include how-to guides, top 10 lists, trends for the year or quarter, workplace checklists, and industry best practices. Looking to connect with your employees, keep them up-to-date with company and industry-wide news, and promote departmental events? Create a Facebook group. This strategy may be especially useful if you have employees scattered in branch offices or working remotely — it’s a great tool to keep everyone on the same page. LinkedIn is a key platform for connecting with other facility managers and locating opportunities for career growth. If you already have a profile, consider adding keywords to each job description and reaching out to other FMs with a personal message asking to connect so you can expand your network. You can also boost your visibility by joining and contributing to groups and posting articles, asking questions, or sharing industry-relevant updates to your feed. To join IFMA National, click here or connect with me here. Interested in staying tuned in to what’s happening in the facility management industry? Start by following IFMA National (@IFMA) and keep up with the latest happenings from WorldWorkplace (WWP) facility conference and expo. This year’s conference hashtag was #WWPHou17 — keep an eye out for next year’s so you can get connected with other attendees, exhibitor and speakers before, during, and after the event. Not sure how to find other people or organizations to follow? Try looking at tweets that use hashtags like #CertifiedFacilityManager, #IFMA, #Facility, #FacilityManagement, #Sustainability, #Greebuilding, and #LEED. Video can be a valuable tool for mapping out emergency evacuation routes and reenacting how to handle a natural disaster or other serious workplace incident. After you’ve produced your HD-quality video, upload it to video platforms like Vimeo or YouTube and share it with employees via email, online chat, or social media. Got a great conference presentation sitting around and collecting dust? Get your thoughts out there by uploading your presentations to Slideshare, a web-based slide hosting service. You can choose to make presentations, PDFs and infographics private or available for download. Slideshare also make for great content to share on other social media platforms like Facebook, Twitter, or Linkedin. Social media isn’t something you can check off your to-do list in a day. Identifying your goals, formulating a strategy, and finding the right platform are critical steps to establishing a strong online presence. Once you have everything set up, it’s important to stay attuned to industry trends and hot topics, engage with your peers, and add your own valuable thoughts to the conversation. Over time, these small tasks will help you establish yourself as a thought leader in the facility management space. How have you used social media in your role as a Facility Manager? Let me hear how you use it and your successes the comment box below.